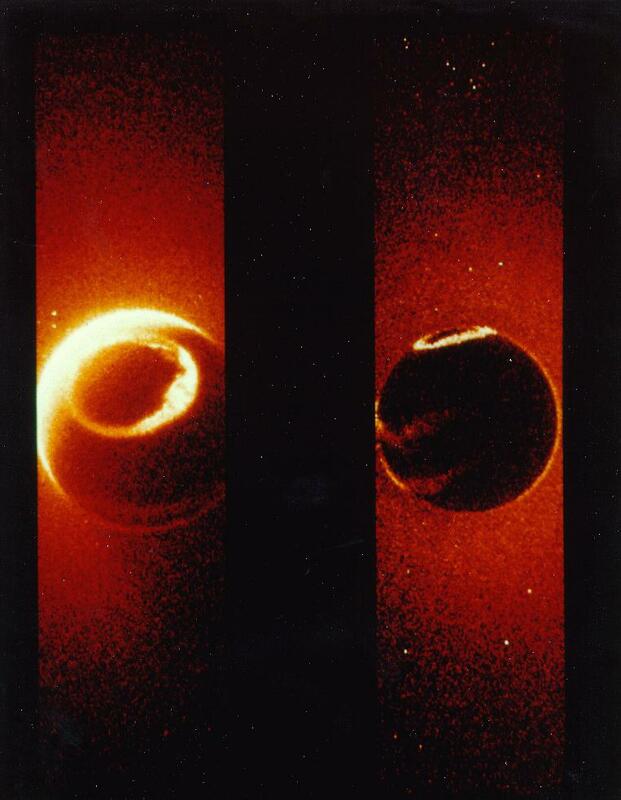 By now we should be no stranger to polar vortices on planets or moons. What confuses me is how scientists are still 'puzzled' by the appearance of these mystery systems and cloud formations, especially where thick atmospheres are present. 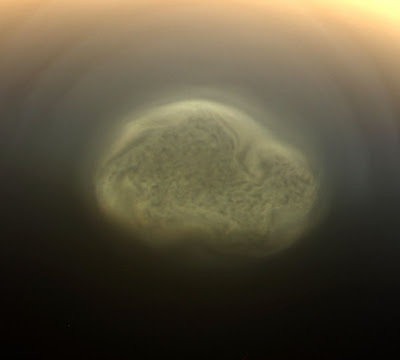 In the case of Titan, thick, hazy clouds make up the atmosphere, and though scientists warn that the temperatures may be quite low, it appears that a mechanism similar to those found on other planets is helping to form polar storms at both extremes of Titan's globe. What we have yet to see, is whether this mechanism bears a resemblance to the hollow globes that we have postulated to exist here on Earth as well as on other planets in our system. I was thinking the same thing! As soon as I saw the news articles, I knew what they were talking about (or not).